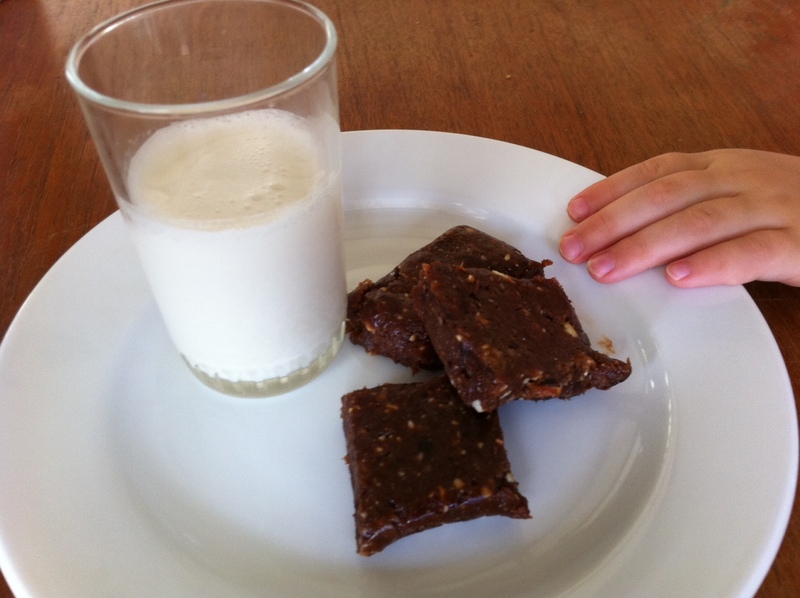 This sweet treat, was a big hit with the kids (hubby, not so much) and one of my very early recipes under the official “raw food” banner: it’s an adaption of a recipe that I have made my “own” and christened: CHEWY CHOCOLATE BARS! Blend in your food processor using the “S” blade until the mixture become smooth and sticks together. Scrap out the toffee-like glob of yumminess onto some baking paper.Place a second sheet on top and shape the mixture into a flat bar. 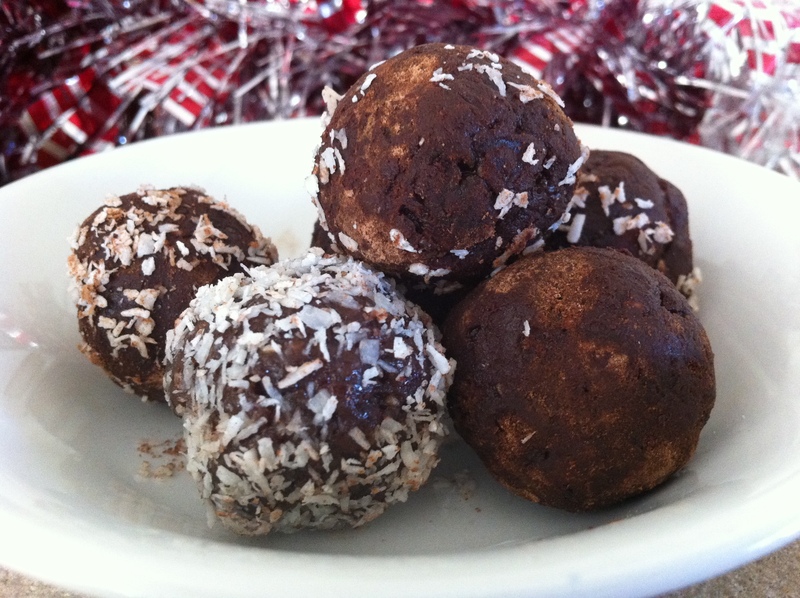 For something a bit more special: form into balls and roll in raw cacao powder or desiccated coconut. Presented in a pretty glass jar with a ribbon, they make a wonderful healthy indulgent gift or a pretty treat for special occasions. Needless to say they were a huge hit with the kids and didn’t last the afternoon! My inspiration for this recipe came from: Chocolate Covered KATIE Love her stuff!